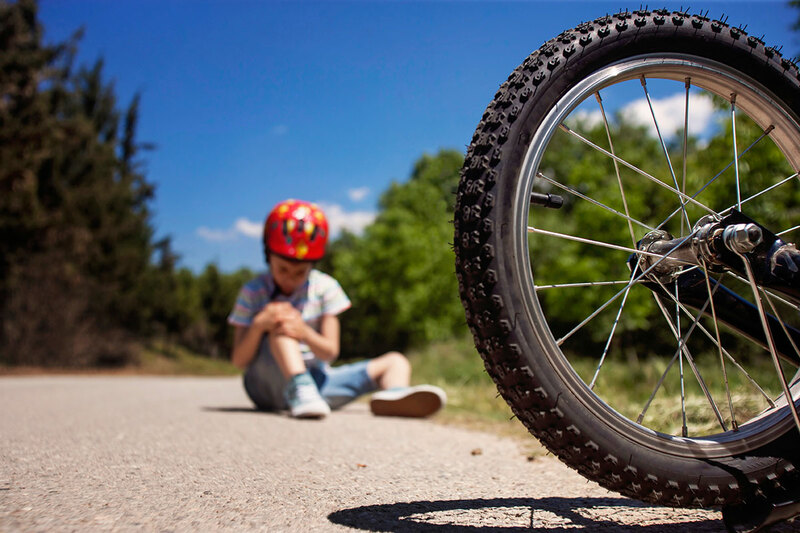 Typical abrasions include stubbed toes, carpet burns, and scraped knees and elbows. Most abrasions cause little damage or bleeding and require minor treatment. See abrasion treatment. Abrasion treatment includes removing loose jewelry, such as rings, cleaning the area, applying a topical ointment, and bandaging. Consult FastMed for treatment of deep or infected abrasions, or those that don’t heal quickly. Ever wondered how to treat a cut or wound? First aid for cuts depends on how deep the wound is. Minor cuts and wounds require little treatment other than proper cleaning, disinfection, and bandaging. Deeper wounds and cuts need additional treatment. In either case, make sure you remove any loose jewelry before the area swells. To avoid tetanus, a DTaP is recommended for children ages 2 months to 11 years. Tdaps are recommended between age 11 and 18. Adults who haven’t had a tetanus shot within the past 10 years should visit FastMed Urgent Care for a booster. If the wound shows signs of infection, visit your nearest FastMed as soon as possible for treatment. For proper healing, deeper cuts and wounds require medical attention and possibly stitches. If a cut or wound can’t be held together with a bandage, or becomes infected, seek treatment at your local FastMed Urgent Care, and always remove any loose jewelry, especially rings, before the area swells. If a cut, scrape, or deep wound becomes infected, visit FastMed for treatment. Important: Tetanus, or lockjaw, is a serious infection. If you haven’t received a tetanus shot within 10 years, visit a FastMed Urgent Care. Most minor cuts and scrapes can be treated at home. Visit FastMed for especially dirty wounds, or if you suspect an infection. Thoroughly cleaning the wound or cut prevents infection. Do not use hydrogen peroxide or strong solutions that may irritate the wound. Wash hands well, then gently cleanse the wound under cool, running water. Apply an antibiotic ointment to the cut. Discontinue use if you notice a rash. Common household injuries like minor burns can be treated at home with a simple burn cream. Second-degree or more significant burns require care at FastMed or from another licensed medical professional. Learn what to put on a burn. Avoid home remedies such as butter and other household products that may actually worsen, rather than remedy, a burn. Third- or fourth-degree burns require immediate emergency medical attention. Call 9-1-1. First Degree: Expect mild redness, swelling, pain, and peeling of the skin, but no blistering. Most sunburns fall into this category. First-degree burns can usually be safely treated at home with topical burn creams, if you’re up to date on your tetanus booster. Visit FastMed for larger burn areas, if a booster is required, or if you’re unable to treat the burn yourself. See treatment for first-degree burns. Second-Degree Burns: Expect some blistering and thickening of the skin. Proper cleaning, bandaging, and follow-up care are necessary. Consult FastMed Urgent Care or see treatment for second-degree burns. Third-Degree Burns: These cause widespread skin thickening and may appear white and leathery. Blisters may not fully develop. Seek immediate medical attention. Fourth-degree burns damage not only the skin, but also the nerves, tendons, and bones underneath. Call 9-1-1 immediately. Wondering what to put on a burn or what helps burns heal? How to care for burns depends on many factors. Treatment for chemical and electrical burns should always include a medical professional. These types of burns can produce internal damage with no external signs. Otherwise, remedies for burns depend on severity. Soak in cool water for five minutes and use loose gauze to cover. You can also put antibiotic ointments and anesthetic creams on these burns. Do not use ice or cotton balls in the treatment of burns. These can do further damage. Also, do not use home remedies such as butter. These can worsen the effects of a burn. If a first-degree burn doesn’t heal or shows signs of infection, visit FastMed Urgent Care. Deeper second-degree burns cause blistering. These burns take longer to heal and can be delicate. Keep the area covered and clean to prevent infection, and visit FastMed for treatment. For immediate care, see treatment for first-degree burns. If the burn covers a wide or sensitive area, visit FastMed Urgent Care. Once the burn has healed, use sunscreen to protect the delicate new skin. This will lessen the scar and reduce your risk of developing malignant changes. 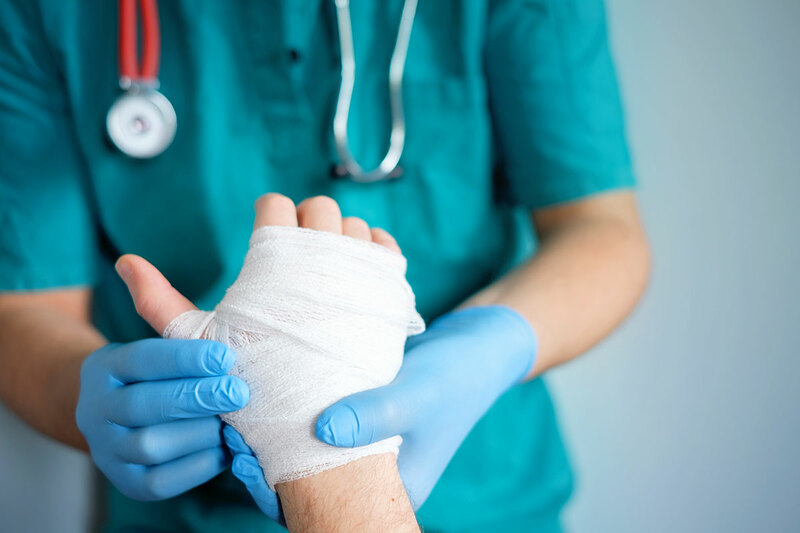 Third-degree burn victims may feel no pain due to nerve damage, but these burns are extremely serious. Always consult a medical professional to assure proper healing of the burn. Call 9-1-1 and keep the burn area raised above the heart. Make sure no clothing is stuck to the skin. The best cure for burns is prevention. Always be careful when near a heat source, and while working with chemicals or using electricity. First-aid treatment for burns varies based on severity. Learn about treatment options for burns.